SAN DIEGO (NEWS 8) — The holiday season is upon us and many people around the world will celebrate Christmas next week. With the upcoming holiday in mind, we rode our sleigh through the News 8 archives and unwrapped some special gifts to get us in the Christmas spirit; from Ch-ch-ch-Chia Pets to Cabbage Patch Kids shortages, these ghosts of Christmases past are sure to bring back memories. These vintage clips from the 1970s, ‘80s and ‘90s are also powerful reminders of how much has changed in San Diego and beyond over the years. News 8's Cathy Clark got the tough assignment of finding out what toys were popular ahead of Christmas 1977. Her hands-on report features "Star Wars" items, Shogun Warriors, The Six Million Dollar Man and a rather odd interactive cow toy called Milky. During the holiday shopping season of 1983, News 8's Liz Pursell visited several San Diego stores to learn about their inventory of in-demand products. Businesses were seeing an influx of shoppers and doing more in the way of sales compared to the previous year. Department store Bullock's was reported to be having a big year for furs and fine jewelry. But toy stores were struggling to meet demands and in early December had already sold out of popular Christmas presents like Cabbage Patch Kids dolls, Care Bears and G.I. Joes. Online Christmas shopping is nothing new in 2018, but in 1986 there were no such things as Amazon.com or Cyber Monday - which makes this archive clip extra special. News 8's Bob Segal interviewed a San Diego man who was way ahead of the curve using his IBM Compatible to shop for the holidays. 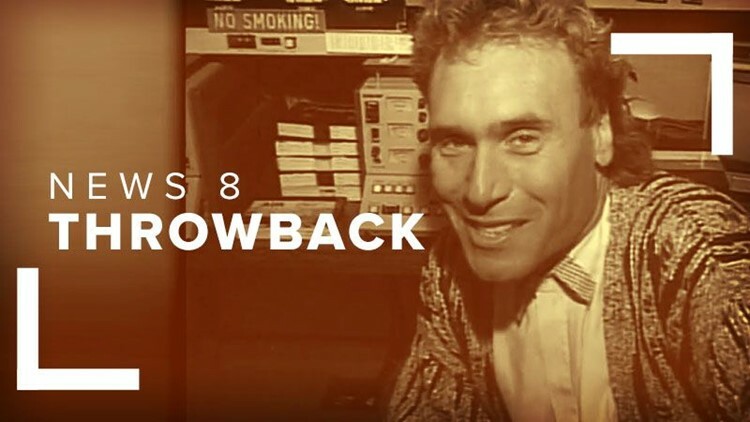 At the end of 1989, the News 8 on-air and behind-the-scenes staff recorded holiday greetings and Christmas wishes for the viewers. See if you spy any familiar faces and enjoy the 1980s hairdos (and hair-don'ts). Several times in the 1990s, News 8's Larry Himmel reported on the classic Christmas gift: the Chia Pet and visited the factory where most of the novelty items were manufactured in Tecate, Mexico. In 1993, Larry showcased the original Chias - the bull and the ram - and a new design in the works: the Chia Frog. In 1995, Larry returned to the factory where production of Chias was down. The factory had incorporated manufacturing of angel statues and figurines to keep themselves afloat that Christmas. In 1996, Larry was back and the Chia world had expanded with a Chia Gorilla to be unveiled in 1997. By the way, we found so many great Christmas clips in our archives we saved a few for next week to keep the holiday spirit going. Stay tuned!